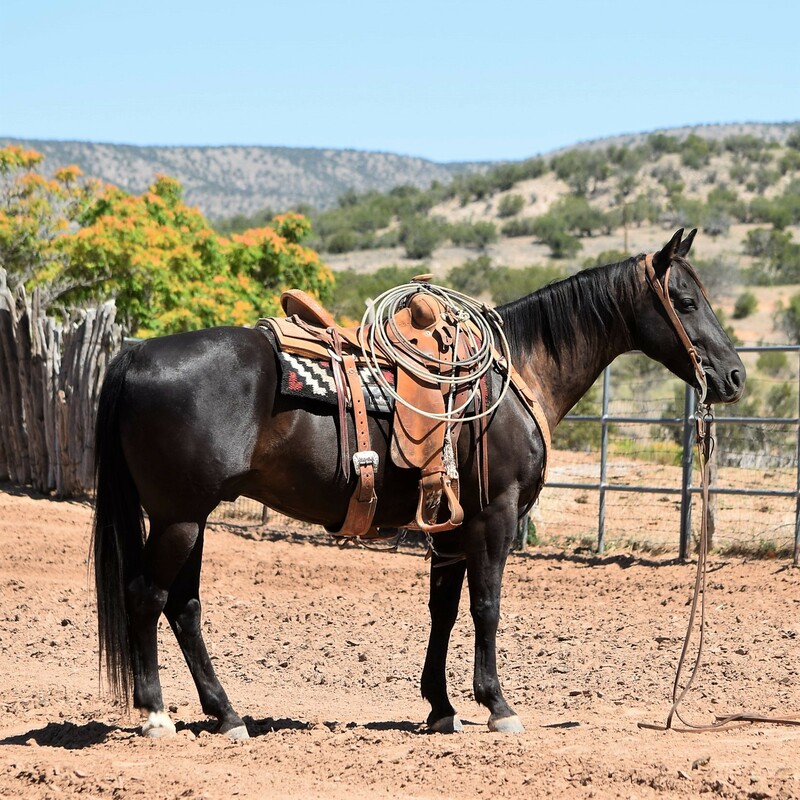 Tari is a 8 year old, 14.3 hand, 1000 lb, black gelding. Bred by the Riedel Ranch in California and Carries their brand. A Son of Hesa Tari Cat (ncha $60,000) by High Brow Cat out of a earner and producing daughter of Smart Little Lena. This is a well trained horse that could go show in any cattle event. Very Cowy and will box and fence one very nice, a big stopping horse, and has a lead change. He has roped loose cattle in the arena like a ranch horse competition, tons of speed, very quick footed, and could make a rope horse fast. We have been using this horse outside pushing cattle around hunting for grass, and checking fence and waters. He hasn’t earned the title Ranch Horse yet but dang sure a Cow Horse and will make a ranch horse by the end of the summer. Gentle enough for just about anyone but he will whack a cow kind of serious like! This horse is very gentle with a in your pocket type personality, easy to do everything with!